The way we decorate our living spaces expresses who we are and what we like. Our living spaces also act as showcases for the things that are important to us, the people we love, the places we have traveled, and the treasures we have collected. Just as no two people are the same, no two personal spaces are the same. 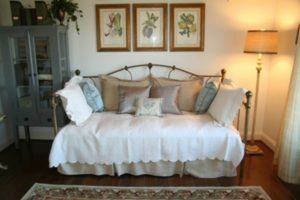 “Personal space” can take on many different forms throughout a lifetime – our childhood bedroom, our first apartment, the house where we raised our children, our retirement home or apartment. Our spaces should continue to be a reflection of who we are, and give us a comfortable place to be ourselves. Any space can feel like home, no matter where that home might be.